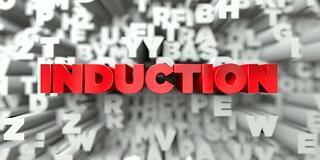 T he basic principles of induction heating have been applied to manufacturing since the 1920s. Currently, induction heating systems and their applications have a significant role in the manufacturing industry, contributing to expedition of part production, consistent yield of high-quality results, and overall price reduction. Check out some of the most fascinating aspects of the history of induction heating. English scientist Michael Faraday is credited with the discovery of the underlying principles of electromagnetic induction in 1831 during his studies of electromagnetism and electrochemistry. At first, he emphasized the negative effects of the process, and immense effort was put toward finding alternative methods that would reduce these negative effects and allow for broader applications of the technology. The goal was to make devices including motors, transformers, and generators more efficient. During the search for a more viable induction solution, scientists introduced the concept of using induction heating principles in order to melt metals in 1916. An early application was the melting of tiny charges utilizing a device called a spark-gap oscillator. Another early application was the heating of various metallic elements of vacuum tubes in order to drive off the absorbed gases prior to the sealing process. The heating of these elements helped to determine their melting points. The Curie point was also discovered -- the Curie point is the temperature at which certain magnetic materials undergo a sharp change in their magnetic properties. The Curie point of steel, for example, is 760 °C (1400 °F). For several years prior to World War II, many companies started to come to the realization that induction heating systems and technology could significantly help to improve their business operations. Induction heating had not previously been considered as an industrial process, but its use and development grew rapidly during the years of World War II. This was because an immediate need arose for manufacturing large quantities of parts with minimal labor and costs involved. Understanding the fascinating historical elements of induction heating properties can help determine the possibilities for future applications. Keep an eye out for the next post, where we'll discuss the projected potential of induction applications, and for more information about induction heating equipment and other induction equipment for sale, contact Ambrell Corporation.